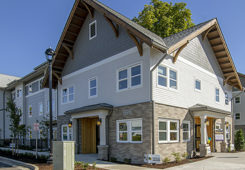 Jeremiah Guske | WALSH Construction Co.
With over 25 years of experience in construction, Jeremiah began his career at WALSH in 2017 after completing Albina Yard, the first domestic CLT building in Oregon. Jeremiah grew up in construction; as a child he volunteered with his dad to build schools in Peru, continued as a teen remodeling homes in Eugene, worked as lead carpenter building new residential homes in Hawaii, then owned a carpentry business for years. 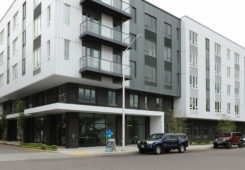 Recent WALSH projects include the 163,000 SF Grant Park Village Phase 2, the built-to-passive-house-standards Orchards Phase 3 affordable housing community, and the new 200-seat auditorium for Standard Insurance Center, which involved the coordination and loading of 4000lbs of steel to the basement level of Standard Center, which went off without a hitch! 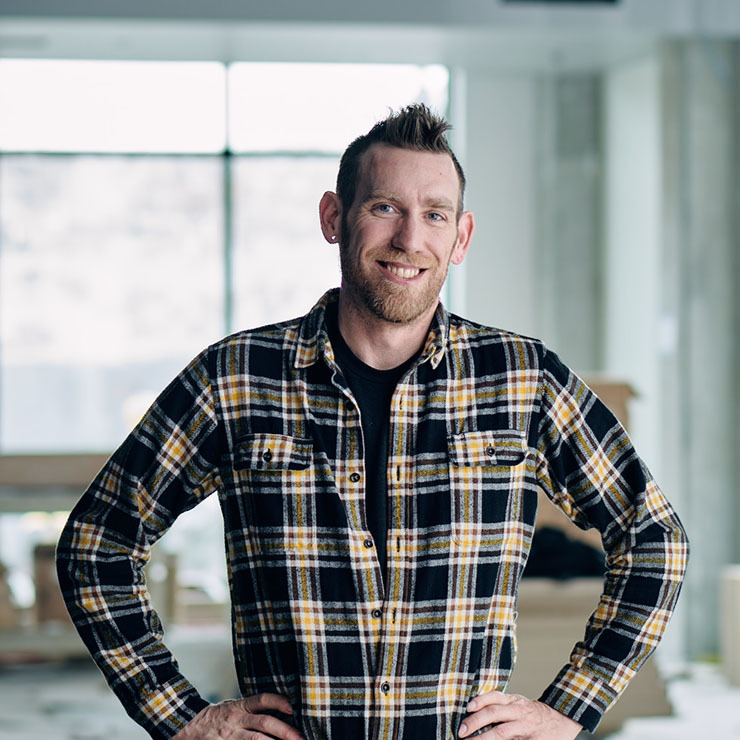 Jeremiah loves being in construction and having a positive impact on people’s lives, coming up with creative solutions to complex building situations and being a part of innovative building science and processes. Outside of working with his WALSH family, he enjoys cross country skiing, woodworking, stilt walking, making cider and enjoying the home he just bought with his sweetheart Rachel!